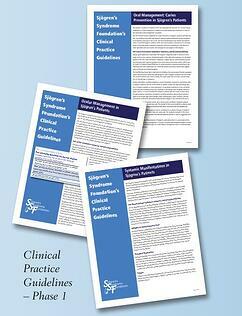 The Sjögren's Syndrome Foundation (SSF) brought together clinical leaders and Sjögren’s experts in all areas of care to produce and publish the very first Clinical Practice Guidelines in Sjögren’s to ensure quality and consistency of care for the assessment and management of patients. These guidelines will help doctors and dentists in various disciplines to provide appropriate care to Sjögren’s patients and will ensure that patients receive the best treatment possible. "I use a number of products that contain xylitol (chewing gum, candies, baked goods and toothpaste) and recently heard that this sweetener can be harmful to pets. Can you explain why?" Xylitol toxicity in pets is becoming more common as this sweetener is used more often in human foods. It is particularly toxic to dogs due to the way xylitol is absorbed and broken down. At this point, it does not seem to be as toxic to other pets including cats and exotics. In people, xylitol is absorbed slowly after ingestion. Unfortunately, in dogs it is absorbed rapidly and once in the bloodstream it acts as a strong promoter of insulin release. Insulin lowers blood glucose levels. When too much insulin is released, the blood glucose drops significantly, causing a dangerous hypoglycemia. 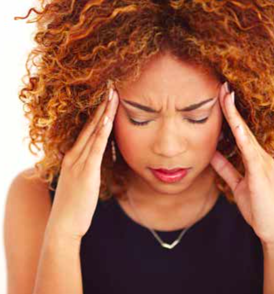 Signs such as extreme lethargy or seizures can occur. Vomiting is often the rst sign seen. Xylitol toxicity in dogs can also cause liver failure. This may take up to 48 hours to develop. Bleeding, bruising, and even death can occur in these cases. Ingesting even a small amount of xylitol can cause signs of toxicity. In a 20-pound dog as few as one or two pieces of gum may cause hypoglycemia and 5 to 10 pieces may cause liver failure. For the granulated form of xylitol used for baking, as little as 1⁄4 teaspoon may cause hypoglycemia or just over one teaspoon may cause liver failure in that 20-pound pooch. If there is any chance your dog ingested a product containing xylitol, you should call a veterinarian immediately. Typical treatment may include inducing vomiting, running blood work, and giving intravenous fluids containing dextrose (sugar). Various blood work parameters should be monitored for up to three days. Since xylitol is so toxic to dogs, handling of xylitol-containing foods is very important. Those dogs that experience uncomplicated hypoglycemia have a good prognosis if intervention is initiated promptly. Unfortunately, those dogs that develop liver failure have a poor prognosis. The Sjögren’s Syndrome Foundation knows how caring for someone with a chronic illness, like Sjögren’s, can be very rewarding but it can also take a lot of out of you - physically, mentally and emotionally. We encourage you to share this article with a friend, spouse or family member who helps support you with Sjögren’s and talk about any questions that this article brings up for either of you. Join a support group. Share what you’re going through with others in a similar situation. Whether they meet online or in person, these groups offer a great way to meet people who will understand what you’re feeling. Make time for yourself. Just because you’re a caregiver doesn’t mean you shouldn’t make time for yourself. Enlist a friend, family member or home health aide to relieve you of your duties. Still can’t get out? While your loved one is sleeping, try drinking a cup of tea, soaking in the tub or even sur ng the Internet to relax. Get educated. Learn as much as you can. The more you know, the more you’ll be prepared for appointments, what’s ahead and the like. Have people come to you. Make your life as easy as possible. Have dry cleaning picked up and delivered. Find a hairdresser who makes house calls. Order your groceries online and consider hiring a cleaning service. Stay healthy. It’s critical that you see to your own needs so that you can be in optimal shape for the sake of the person you’re caring for. Eat a healthful diet with lots of fruits and vegetables, get plenty of sleep, and exercise at least 3 to 5 days a week. Learn to laugh. Laughter really is one of the best medicines, so rent a silly movie, read a funny book or magazine or call a friend with a good sense of humor to find a way to let loose and chuckle. 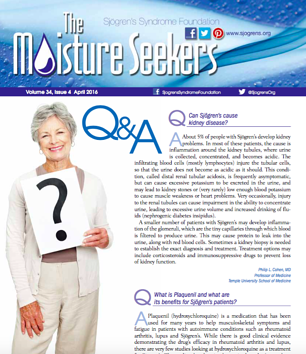 This article, written by Stacey Feintuch and reviewed by Health Monitor Advisory Board, was first printed in The Moisture Seekers, SSF's patient newsletter for members, and first published by Health Monitor. Everyday research is being conducted to unveil new medications, therapies and diagnostic tools for Sjögren’s and its symptoms. By participating in a clinical trial, you will be helping to potentially uncover breakthroughs that will help Sjögren’s patients worldwide. Clinical trials are designed to add to medical knowledge and most importantly, the results of these trials can make a difference in the care and treatment of Sjögren’s patients for generations to come. 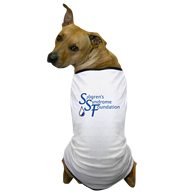 New clinical trials are investigating possible future treatment options and the SSF is fully committed to the development of new therapeutics that will treat the entire disease, not just one symptom. 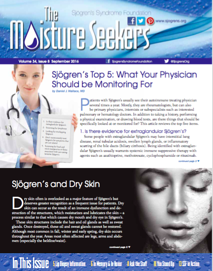 These Sjögren’s trials are starting to actively recruit patients and sites open all the time. I encourage you to click on the link below to visit our listing of clinical trial locations and contact the clinical trial study coordinator to learn more. Together we will conquer Sjögren’s and transform the future of the disease, giving hope to all patients! 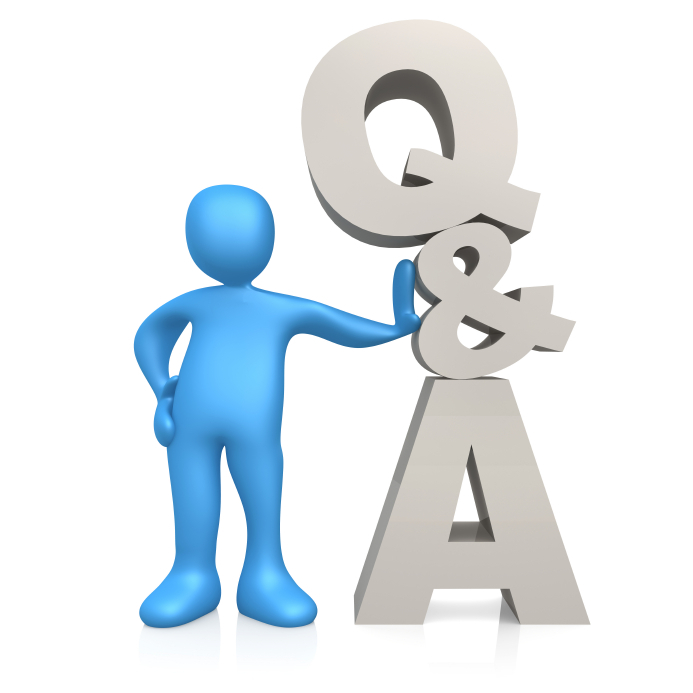 Ask the doctor: What is Methotrexate and what is its benefit for a Sjögren’s patient? In 1962 methotrexate, a modified version of aminopterin, was introduced. Both inhibited the enzyme folic acid reductase, but methotrexate was easier to produce, making it easier to meet the growing demand for its use in cancer treatment. Small, successful clinical trials of methotrexate for RA, psoriasis and psoriatic arthritis followed its introduction and the case for its use in these disorders slowly built. By the 1970’s methotrexate had become a mainstay in treatment of severe psoriasis and psoriatic arthritis treatment, and then in the 1980’s it was adopted as standard management for RA after large-scale clinical trials demonstrated compelling efficacy and reasonably good safety. 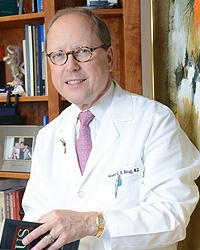 Comprehensive guidelines for treatment of Sjögren’s were recently published in Arthritis Care and Research. Methotrexate is prominently featured in these guidelines for the management of inflammatory musculoskeletal pain in Sjögren’s patients. It should be noted that the arthritis in Sjögren’s may be indistinguishable from that of RA and in some patients the overlap of these two dis- orders is considerable. Patients whose arthritis is poorly controlled with non-steroidal anti-inflammatory drugs (NSAIDs), low doses of steroids and Plaquenil (hydroxychloroquine) are often managed with methotrexate. Methotrexate is usually taken just once a week in tab- let form. Some patients take it as a weekly injection. The dose is usually steadily increased during the first two or three months of treatment until a maintenance dose is reached. Patients notice a gradual and meaningful reduction of joint swelling, pain and stiffness as the drug takes hold. Improvement may be noticed as early as 6 weeks; the full effect tends to be appreciated at three months. 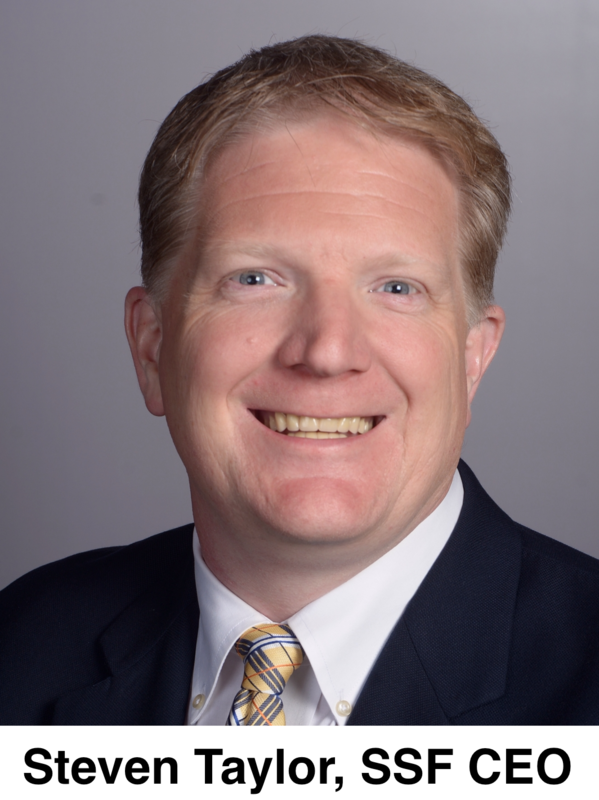 Systemic complaints such as fatigue, weakness and anemia may all improve on treatment. Side effects of methotrexate are varied. It is a drug that must be monitored closely by a patient’s physician. Common complaints consist of mouth sores, stomach upset, loss of appetite, fatigue or headache. Some patients notice mild hair loss, more of a thinning, usually more noticeable to the patient than to friends or family. Some patients develop a cough or low grade fever. Rarely, a pneumonia-like syndrome can complicate treatment. Methotrexate can be irritating to the liver. Patients taking methotrexate should avoid drinking alcohol and need to have liver function tests performed by their physician on a regular basis. The bone marrow can be suppressed by methotrexate and blood counts need to be checked regularly as well. Use of the B vitamin folic acid is recommended for all patients taking methotrexate to reduce the risk of side effects. Patients on methotrexate need to stay in close communication with their physician and should promptly inform their doctor about a cough, fever, mouth sores or loss of appetite. Despite all of the concerns about side effects from methotrexate, this drug has been quite well tolerated by most patients. Most importantly, methotrexate is a very effective and life-altering therapy for many patients.